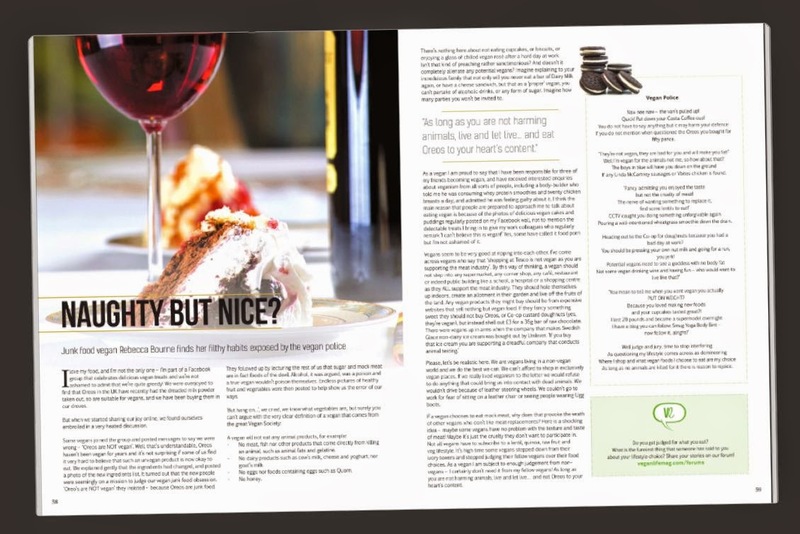 The latest Vegan Life magazine has a great article entitled 'Naughty but Nice' about a vegan baker being lectured by the Vegan Police. Using sugar, eating vegan convenience food, or baking indulgent vegan cakes isn't 'vegan' enough for them. We've come across this before in the comments we get here at Veganoo. 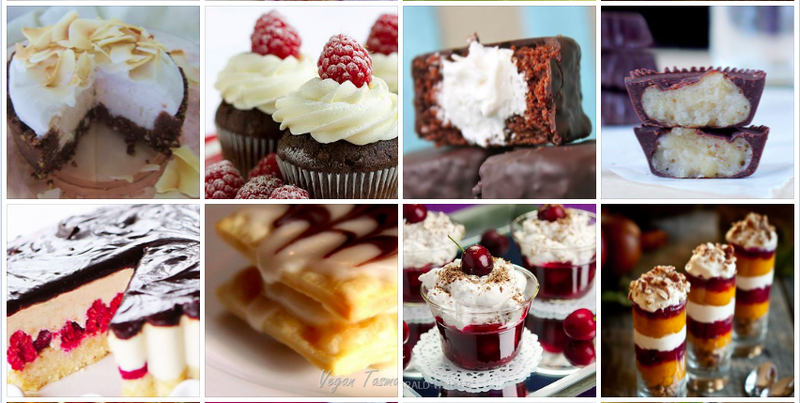 When we review vegan sweet treats we'll often get comments such as 'why are you reviewing this junk food??" It's fine for people to want to eat healthily, but there's no reason to be puritanical about things. 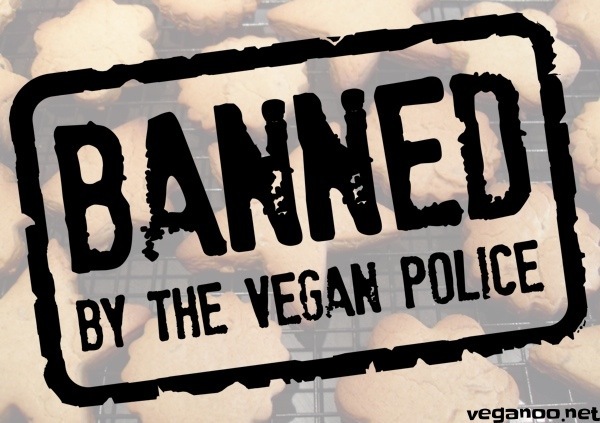 Vegans should be free to enjoy the occasional sugar high, carb blowout, or deep-fried doughnutty goodness, without feeling any less ethical about their diets. As long as it's animal free, it's vegan and it's on the menu. We've talked about the Vegan Police previously. This post from a couple of years ago was aimed to help clarify our review policy for products with vegan ingredients, but which may have some trace contact with animal products in their production. The story was about Fox's saying their biscuits aren't vegan, because someone had pointed out that the rollers on their conveyor belts had wool in them. "And while some people can have pre-conceptions about what vegans are like (preachy, judgemental, angry, paper thin with no energy) it is the thing I like most about myself"
That preachy and judgemental thing is what makes people hate vegans. It's usually relatively new vegans too that are the most preachy. There's an old saying about religion that 'the newly converted are the most fervent' and it applies very well to the religious vegan police - the young mutaween who only see black and white. 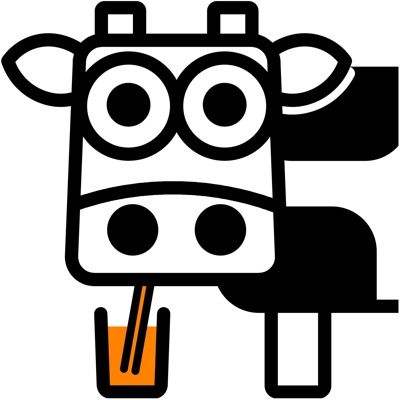 Once again, we'll leave you with an extract of our review policy here at veganoo.net, because it's a reminder that there is no black and white to ethics, particularly to being vegan. "Remember that nothing is 100% vegan. Flour and other plant foods contain insect fragments. Small animals die at harvest time. Don't worry that your plain chocolate is made on a line that also produces milk chocolate. 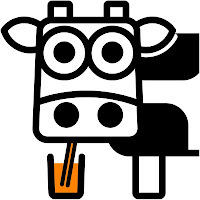 The bigger picture is that we're trying to end animal suffering by promoting plant-based foods." 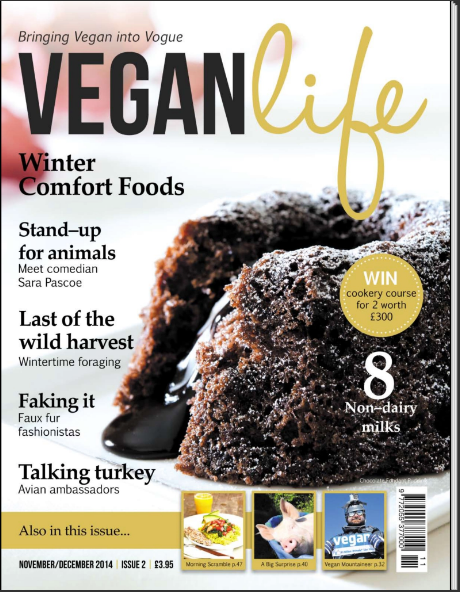 Vegan Life is available in a variety of ways, in print and electronic forms (six issues a year). Sorry I disagree ( I wrote that article by the way thank you Veganoo for reviewing it on your page!) Not sure why any vegan would be offended by a vegan sausage. I don't associate pain or suffering with it, and the ingredients that go in it would normally be used in other vegan recipes, for example a bean burger, the beans in a casserole probably wouldn't offend you, so why just because they are shaped in round shapes or oblong does it cause mortal offense! Meat eaters don't own the monopoly on the English language, why should I worry about renaming a chilli con carne as a Chilli non carne or a shephards pie as a shephards pie without the shephard. An overreaction to what is simply a collection of letters to make a word "fish" "beef" "sausage" none of these bother me I just stick a vegan in front of the word and eat! Spend more time getting your mates to go vegan by sharing pics of your lovely vegan cakes (like me) I think if my friends thought vegans got offended by words this would further perpetuate the idea that we are uptight and fussy! On another note am enjoying the irony of vegan policing over a vegan policing article! I'm with Bexy on this (as you might guess). No problem with mock duck, wheat meat, uncheese or vegan egg yolks. If anything, it highlights the fact that we're vegan NOT because we don't like those things, but that we choose cruelty free versions. Thanks for the alternative view though Jason. If the term Vegan Police offends you, ask yourself this: is it intolerant to not tolerate intolerance? Another point is I really hate the term "fake cheese" or "fake meat" when people say "oh I don't eat fake meat" no vegan food is "fake" in my book. Or some people refer to dairy cheese as "Normal" it is definately not normal! It is such a discredit to the time and effort involved when companies and everyday people make lovely and nutritious lentil burgers, veggie sausages, etc to call it fake I think it's lovely!